Auckland woman Irena Yun set out in January 2009 to tramp the tough 8-10 hour Cascade Saddle route from Aspiring Hut in the West Matukituki to the Dart Hut on the upper Dart River. Travelling alone, she rejected warnings that the wet, cold weather conditions made the alpine crossing – with its high point of around 1800m – more than usually dangerous. When she never arrived at the Dart Hut, DCC staff raised the alarm. The search involved about 30 LandSAR Wanaka volunteers, and – hampered by unseasonably bad weather, ran over several days. Searchers, on foot and by helicopter, combed the steep faces on the Matuki side of the route, the bluffs above the Dart Glacier, and the Dart River. 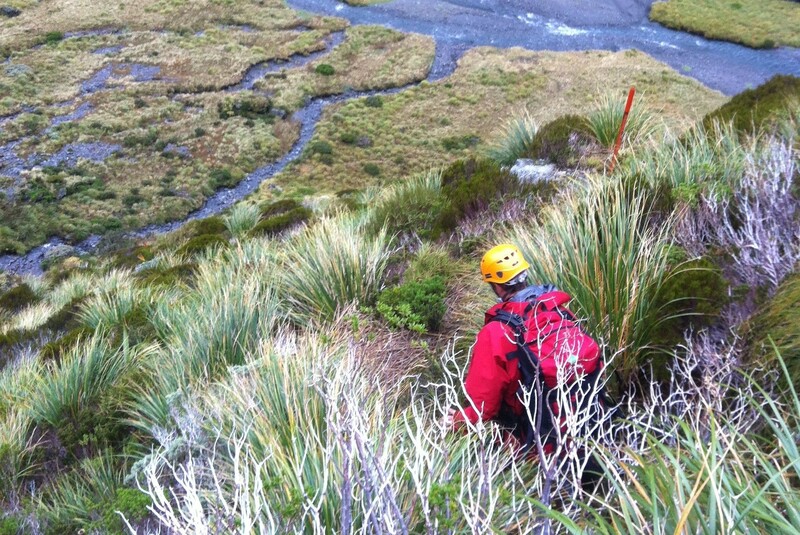 Finally, after three days of intensive but fruitless effort had failed to find even a trace of the missing woman, her battered, water-logged pack was found stranded on a rock near the side of the Dart River, well below the hut. The find confirmed what searchers had feared, that she had been swept away while attempting to cross one of the flooded side creeks that cross the route. Two further days of searching failed to find a body, which was feared buried beneath debris trapped under one of the many huge boulders that choke the Dart. Remnants of her body were finally found in the river about a year later.